Oranges the amazingly healthy citrus fruit. Popularly known as santra in India. Use them as a home remedy for treatment for various problems. 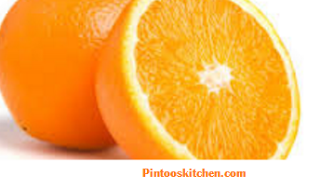 Oranges are great for our hair let's look at how orange is beneficial for our hair. Orange juice works as a natural hair conditioner for your hair. Orange juice is loaded with nutrients that moisturize and hydrate the hair and provide the hair with the much needed nourishment for staying healthy and strong. Oranges improve blood circulation to the scalp as they are rich in bioflavonoid which helps in promoting healthy hair growth. Orange peels are loaded with vitamin C and bioflavonoids which fight the dandruff causing fungi and help in treating dandruff.